Skirret (Sium sisarum): growing, planting, caring. Skirret - Sium sisarum - is a perennial plant of the family Apiaceae sometimes grown as a root vegetable. The English name skirret is derived from the Middle English 'skirwhit' or 'skirwort', meaning 'white root'. Its German name "Zuckerwurzel" translates as 'sugar root'. This relative of the carrot has long been grown as a root vegetable. It is a very hardy perennial, to be harvested from October to March, which can last for several years provided that it leaves tubers in the ground. It can also be reseeded every year as an annual. The plant reaches up to 1 meter of height at the top of the floral stems in the summer. 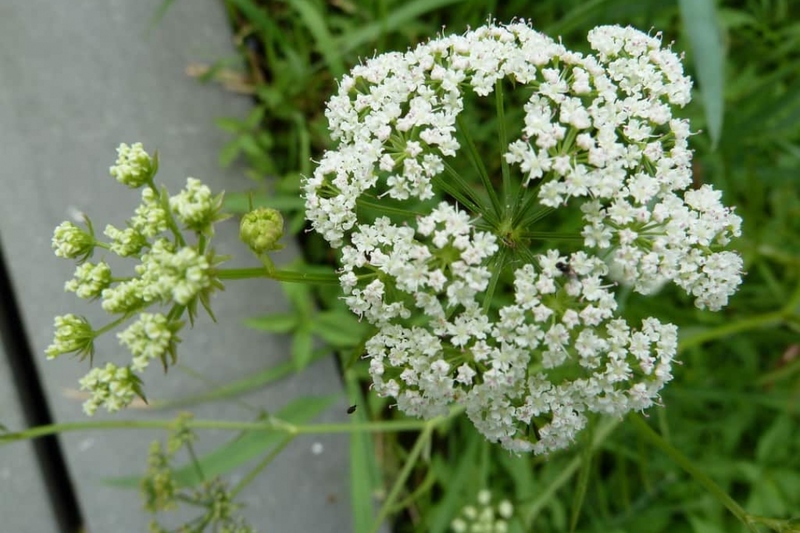 The flowers are in large white umbels - much like carrots. The tubers of chervis have a white fibrous flesh in the heart - which is removed from the preparation - rather sweet and pasty. The roots are swollen in sugar in reaction to the cold. Dried out Skirret seeds can be sown in rows starting in March and throughout the summer, in deep, cool soil and exposed to the sun. Water after sowing. Fresh Skirret seeds can be sown in the autumn. Thin up your plants. Wait until you have 4-5 leaves per plant, and keep one only every 30 cm. The skirret is a water-loving plant, so keep the soil moist for the first month, and then mulch it or water it during the dry periods. Water the seedlings gently, to avoid dispersing the seeds or damaging the plants. Mulch chervis after thinning, to limit weeding and watering. The skirret has no known parasite.